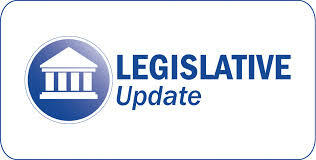 Recently, Inland Rivers Ports and Terminals (IRPT) and a team of Members met with Mississippi State Senate leaders to explore a new piece of legislation aimed at serving the State’s freight transportation needs. The legislation is similar to bills passed in West Virginia and Missouri which offers a tax credit for shippers to use the waterways for freight transportation. This act creates three types of income tax deductions for entities transporting cargo through port facilities in Missouri. The deductions will be administered by the Department of Economic Development. Beginning January 1, 2017, manufacturers or distributors shipping cargo by through a port facility may be eligible for a deduction. The taxpayer must increase by 5% the volume of cargo they transport through a port facility over the prior year's total. The deduction will be $50 per TEU over the prior year's cargo volume. For cargo transported through a new port facility in its first year, the deduction will be $50 per TEU. Taxpayers are limited to $250,000 in deductions per year. Beginning January 1, 2017, taxpayers operating an international trade facility may qualify for a deduction based on the amount of cargo transported by airplane, rail, truck, or barge. The deduction will be equal to $25 per TEU or 16 tons of non containerized cargo. No more than $2 million in deductions may be claimed in a fiscal year. Taxpayers operating an international trade facility that increase the volume of cargo by 10% over the prior year may qualify for a deduction. The deduction shall be in an amount equal to $3,500 per new full-time employee or 2% of the capital investment made in the facility. The new employees or capital investments must be related to an increase in trade activities through international shipping to qualify for the deduction. No more than $500,000 in deductions may be claimed in any fiscal year. In Missouri, SB861 authorized port authorities located in Missouri to establish an advanced industrial manufacturing ("AIM") zone, which is an area that is being developed or redeveloped for any purpose so long as any infrastructure and building built or improved is in the development area. A zone may include any portion of the area located in the port authority's jurisdiction, and its boundaries must be determined by the authority. The act created the Port Authority AIM Zone Fund consisting of 50% of the state withholding tax from new jobs within the zone after development or redevelopment has begun. The money in the fund must be used for expenses to continue expanding, developing, and redeveloping zones identified by the port authority board of commissioners. No more than 10% of the total amount collected within the zones of a port authority may be appropriated by the legislature for the administration of a port authority. The authority must approve any projects, disperse money in the fund, and submit an annual budget for the collected funds to the Department of Economic Development explaining how and when the money will be spent. Great post shared by you about transportation facilities. If you want this type of service at an affordable cost then you can choose international Freight Forwarders Miami. MIC-MWRA BOARD MEETING / DINNER reservations. Water Recycling - Drinking Sewage?